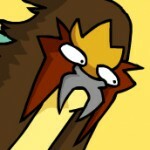 At PokéCommunity Daily we spend a lot of time bringing you news, guides and more on Pokémon. As 2018 ends, we take a look back at the year that was and give our thoughts on how the franchise has fared, and invite you to share your favourite moments with us. It may not have been quite this exciting, but it wasn’t bad either. bobandbill: The newest Pokémon title had its Director (Junichi Masuda) insist it is a main series title, despite some radical changes and removals. Overall Pokémon Let’s Go, Pikachu and Eevee (LGPE) sold fairly well – 3.45 million units in 2018 is a good outcome. However, it pales in comparison to the other heavy hitting title that released in December. Super Smash Brothers Ultimate proved more popular with over five million sales in its first week of release. It has also been the most profitable game for the Switch console for the whole year. 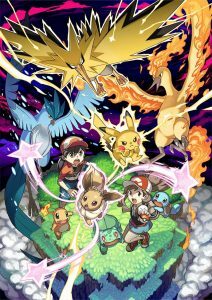 Considering the smaller install base the Nintendo Switch has compared to the DS and 3DS models, LGPE has thus far sold less than previous main series titles. On Metacritic the games rate 79 or 80 out of 100, lower than any main series title since Pokémon Black 2 and White 2 (where it equals its 80 rating). Jake rated it strongly with a score of 85, but there are clear deficiencies. While some things are great to see, such as the Follow Me feature and a good rendition of the soundtrack, a lack of post-game content is obvious. It is also clear that corners were cut. These can be seen in the reused attack animations from the sixth-generation games, among other issues. Overall, it was a decent entry, just not a great one. I don’t regret playing the game, but there’s a lot more to like in the older titles, and a lot of it comes down to the sheer amount of content offered, and a lack of questionable design decisions. Rivvon: Not owning a Switch aside, the main reason I didn’t want to pick up LGPE was because of the continued focus on Kanto. But after seeing the positive improvements the games brought to the table, I was even more set on skipping them. That sounds really odd, but I just don’t want to be let-down by the 2019 titles after being disappointed by gen VII. Seeing great features get cut out in the very next games is always a tough pill to swallow, and I feel as though actually experiencing the good choices of LGPE, such as following and riding Pokémon and keeping the PC system always on-hand, would make it that much harder to enjoy whatever 2019 brings should they be removed.  bobandbill: It was a surprise announcement alongside LGPE, but despite making some money from its Nintendo Switch and mobile release, Pokémon Quest has undoubtedly been removed or deleted for many people by now. There would be a few reasons for this. The game was simply shallow to begin with – there was very little control over your Pokémon, and the retreat mechanic was pretty poor as well. The AI created annoying situations, like near-endless loops around obstacles, and visually the game was fairly basic. But the killer was the lack of any meaningful updates. The game only utilizes the first 151 Pokemon – adding new levels with new generation Pokémon would have extended the lifeline, and encouraged people to spend more money too. bobandbill: Pokémon GO made a lot of money – even more than 2017. It was just shy of earning a whopping $800 million. This can be attributed to a far more intense event-filled calendar, a successful Pokémon GO Fest event, and a lot of updates. The year saw the release of several generation three Pokémon and a few from generation four, the additions of the long-awaited Trading and PvP features, and other neat ideas such as Gifts and Adventure Sync. 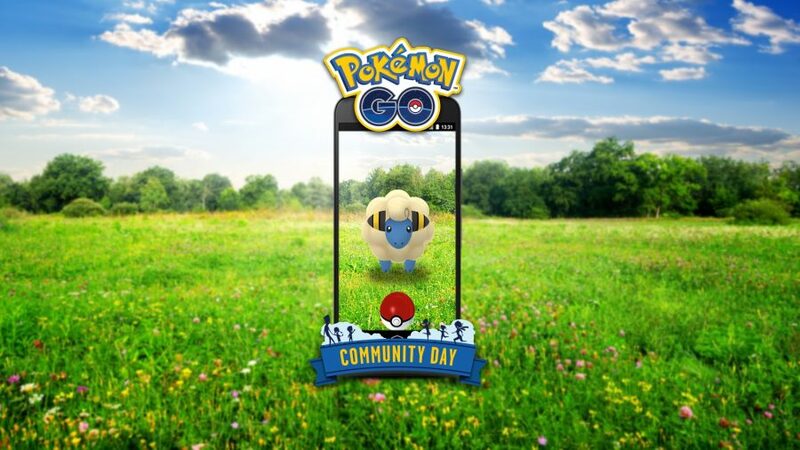 The Community Day events, even though typically only three hours long despite the name, were also popular events. These events were pretty good, except when the game servers were crashing, and for those unable to attend those three specific hours of the “Day” event. But it’s not been a clean year. There are lots of bugs within the game, with more coming in with each new feature. Amongst these are even totally unexpected ones, such as certain Pokémon no longer available in their Shiny form at the end of events for no apparent reason. Community Days have been hit and miss as well, particularly if you’re in the Asia-Pacific region. Server errors have dominated, and this is easily attributed to the insistence to sticking to three-hour long event times as opposed to a full day, or indeed entire weekend such as the December event. It’s also unfair on people who work weekends, and even more so when events are increasingly announced on short notice as opposed to dates being given up to three months in advance. Valid complaints on the Feebas event earlier this month suggest there is still a lot of work to be done by Niantic here. Rabinov: 2018’s Pokémon World Championships saw a shift in the VGC meta compared to 2017, with Incineroar being crowned its new king. Incineroar featured in 5 out of the 8 teams in the Masters Division’s top 8, and 4 out of the 8 teams in the top 8 of the Senior Division. Otherwise, the usual mix of powerhouses could be seen in the Tapu deities, Kartana, and Landorus-Therian. The Junior Division as always brought a myriad of fun teams to the fray (including Trick Room and Rain teams! ), although we did still see some top tier Pokémon in the likes of Snorlax and Gengar. The aforementioned Trick Room team, helmed by Sota Tamemasa, actually made its way to the finals before being bested by Wonn Lee and his Whimsicott-led team. The Senior Division consisted of a few more quirky Pokémon choices, a Porygon2/Araquanid core being one of them along with Amoonguss. Araquanid and Amoonguss were present in the Senior Division finals, where James Evans convincingly took two games to win the tournament, following a strong performance from both his Tapu Koko and Incineroar. All three finals were captivating. However, the Masters Division final in particular was a spectacle, with strong plays from both players. Paul Ruiz came out on top after keeping his cool against an onslaught of Intimidate usage via Emilio’s Incineroar and Landorus-Therian switching, and after Emilio managed every time to absorb Gastrodon’s Z-Move with his Gengar’s Substitute. Overall, a very interesting change in the competitive meta, and it is still great to see that despite such solid contenders, people are still managing to make interesting teams to throw this very meta off! 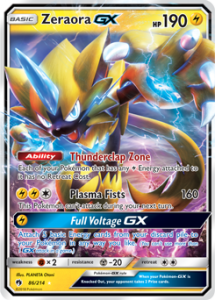 ddrox13: In 2018, the Pokémon TCG saw the release of four full new sets and a mini-set, including the biggest and third-biggest sets of all time, for nearly 1000 brand spanking new cards. That’s a lot. However, with all this hype, the meta was still dominated by last year’s cards. Tapu Lele-GX still sees use in almost every deck, although its price was cut dramatically by the release of a promo version. Zoroark-GX is still the strongest card in the format. Buzzwole-GX is still great. So forth and so on. These cards, however, all leave the format in September of this year. Speaking of leaving the format, Standard lost six whole sets this past September, so let’s take a moment to honor our fallen comrades. RIP Greninja BREAK. You literally won’t be missed. At all. Rabinov: Competitively speaking, Zoroark, Buzzwole and Garbodor reigned supreme at this year’s World Championships, showing just how strong these cards are. 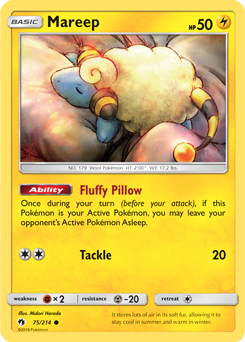 The majority of decks throughout all three Divisions featured one of these three Pokémon. Buzzwole and Garbodor almost entirely made up all of the decks in the Junior and Senior Divisions, whereas Zoroark was more prominent (and won) in the Masters Division. All in all, this was a solid but unimpressive year for the TCG. We do have Tag Teams to look forward to next year though! Rivvon: The Power of Us is a movie following Ash, Risa, Callahan, Harriet, Toren, and Margo during Fula City’s yearly Wind Festival. This unique crew must set aside their differences and overcome their shortcomings to reach the truth at the heart of Fula City and restore wind to the area before their power source is lost for the year. 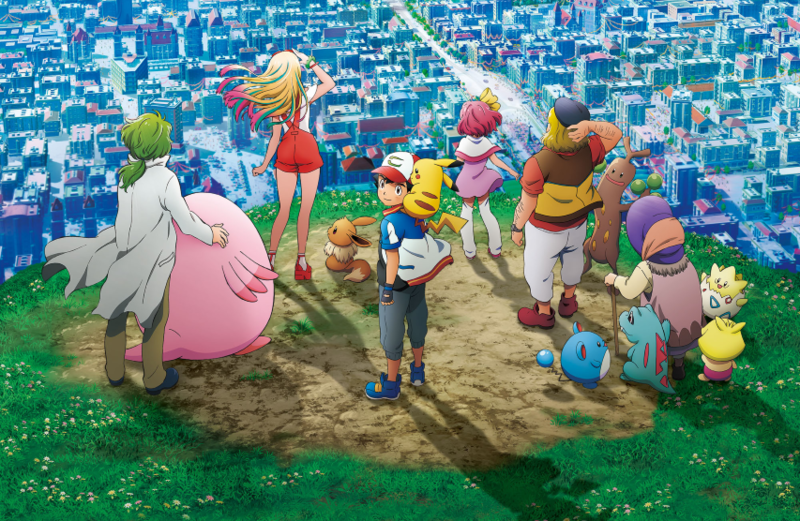 The movie’s ability to give each character appropriate screentime and development as a byproduct of focusing on humans rather than Pokémon makes it my favorite Pokémon-series movie thus far. You can read a more in-depth review of my thoughts in the article linked below. bobandbill: Sooner or later we’ll start getting information on the next main series title, currently slated for late 2019. The extra development time between Pokémon Ultra Sun and Ultra Moon and it will be surely appreciated by the developers, afforded by the release of LGPE to tide us over while we wait. How the game will look on the Nintendo Switch and what new Pokémon we will get out of it will be exciting. Hopefully most of the good new features from the generation seven games will actually make the Switch (hah) and not be removed as per usual. Lastly, support for Pokémon Bank on the Switch will be eagerly watched by many players, particularly those in the competitive scene. Rivvon: After enjoying I Choose You! and loving The Power of Us, I’ll be honest, I think it will be difficult to follow them up. But I won’t pass any judgment on Mewtwo Strikes Back: Evolution just yet, as I want to have faith in the studio to give us another well-crafted movie. My only thought at the moment is: I know that “anime-styled” humans are quite difficult to render in 3D, so I hope the models are polished enough as to not ruin the experience. Rabinov: With the TCG expansions being churned out at such an exponential rate throughout the last year, I can imagine at least a slow start to the TCG in 2019. But with the next main series title potentially coming in towards the end of the year, we could start seeing some interesting things coming up. I hope, as with most TCGs I play, that new mechanics perhaps will be thought up in light of the lack of new content to push! With regards to competitive play digitally, again with no new Pokémon to be expected until later on this year, I am expecting maybe another shift in the meta but nothing ground-breaking. A little uneventful perhaps, but considering how 2018 Worlds turned out, honestly I would be happy with something similar to it this year! What are your thoughts on 2018 for the franchise, and what are your hopes for the coming year? Edited by Aldo, Janna, Rabinov and Trev.